It appears based on watching this video that the ruling is greatly misunderstood by both sides and I myself am inspired to try and read the whole 180+ page Opinion of the Court. I am in no way advocating the chilling of free speech by value of it simply coming from a corporation or union. It is a falsehood to state that this ruling allows for “unlimited contributions to political candidates” and also a point that is not within the primary argument against this ruling, as it did not effect those existing limitations. I believe, personally, that the argument made that this will benefit non-profit advocacy organizations over private sector special interests has some serious flaws in it, while it is not altogether untrue. It’s true that some of the confusing regulations surrounding political advocacy have been discarded in this recent decision, but it is the structure and measure of what they have done that is so reprehensible. Were it to be the case that a corporation had to declare their logo and “I Support This Ad” with the CEO standing there; then this decision would be far different in implications to our political process. This logic that major multinational corporations will for some reason “not go there” with political issues is true to a certain extent but it precludes the simple truth that when seeing itself as threatened, as the insurance companies did the early days of the Health Care Debate, they will spend whatever they can as fast as they can to flood us with … media. Media like television ads. How quickly we forget as a nation, as a people, that Sen. John Kerry was literally “slimed” out of his equal opportunity at the democratic process in a bid for president no less by what we now call “swing voting” but if you track this story out it was a bunch of frauds who demeaned their personal character in a outright smear campaign. One of them lives right here in Santa Cruz, California and just like the Bush administration itself they are taking no responsibility for this in public. How easy it will be now for a nameless silent corporate partner to just bankroll a bunch of TV ads either pro or con for a candidate that had policies that just might ask them to give a little back after they take so much from the environment, for instance. If understand that McDonald’s is Pro-McCain, just as a random example, then many of my concerns go away. But as it stands the Sierra Club, the NRA and the example of the video clip Microsoft could all wildly flood a campaign with media while grassroots money and dedicated social advocates of any position would be overshadowed. Also this argument that money doesn’t win elections is also partly false. Money is not enough, as the examples of Ross Perot and Mitt Romney illustrate, but the 2008 Campaign for the White House was in part decided on the dollars and cents. Of course you need the solid candidate, as the Democrats held with Obama, to seal the deal but my studies in Political Science completely disagree with the scoffing of this notion of looking at the financial impact and earnings to get the best picture. As I stated before, I believe I may have to read this entire decision before I am totally satisfied I understand it fully. For now, I am strongly standing with the words of President Obama in his State of the Union address calling this decision a means by which we will “open the floodgates” to foreign special interests and corporate lobbyist influence over the actual results of our elections themselves. I feel both the SCOTUS and perhaps LiberalViewer as well have concerned themselves too much with entities that deserve very little concern or express protections of the court while neglecting to see the ramifications of said decision on the people that truly represent democracy at it’s core. To put it plainly: this appears a “open door” policy in terms of slash-and-burn negative political ads at the end of a campaign cycle to force a candidate to lose based on hyperbole, as we have seen before in politics. Slime works, and I as I understand it the SCOTUS just ruled in favor of slime in our elections. Russ Feingold at CounterPunch.org explains what Sam Donaldson was speaking about that I referred to as “inaccurate” in the above piece. I was under the impression that he was saying that Soft Money limits are now gone under this ruling but in fact it he was speaking to the issue of spending directly out of the treasury without limit. ***Thanks to Paul J. Rourke for bringing this to my attention and providing the link. This was a high point in the entire Obama presidency, and a rare move on behalf of any president to appear in a oppositional party forum to answer questions directed at them on the public record. This was the clear and transparent dissolving of the talking points and misinformation spread by conservatives at an alarming rate since the election of Barack Obama. He was polite, concise, accurate and took a great deal more responsibility of his missteps than is common in politics; whereas the questioners seemed to be mostly delivering boiler-plate talking points that resound across conservative-talk mediums but have little factual basis if any at all. This was a move of a bipartisan, non-ideologue president seeking a solution and not just a ceasing of partisan fires throw at him. What I have serious doubts about is if the Republican opposition can see clearly enough in this atmosphere to hear his simple words about the Health Care Reform being far less than “radical” and his simple statement that if a better plan that cost less and worked was available from Republicans he would gladly implement it. 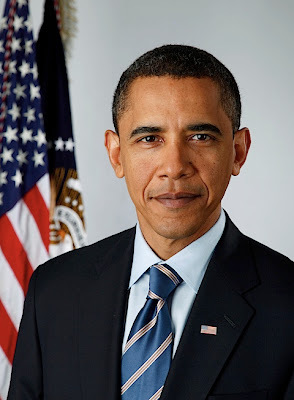 This is what I believe of President Obama: he is a pragmatist. He will work with those who have solutions that get results and not by simple partisan standards. I have but scratched the surface of this science fiction novel that has been recommended to me many times over. I am fast seeing this book as one that sits in the all-time-favorite pile for me, as well as just being a lot of fun. I have also only just begun to read this book but it is obviously a highly informative, if somewhat outdated (2003), observation of the American Black Market. This is the “unspoken” piece of the economy as a whole. There are strange parallels between these two books that I am only just being to piece together. In an appauling U.S. Supreme Court decision that came down recently there will be no monetary limit on how much corporations can spend on political campaign advertisement. The party-line ruling is disturbing to me in that so clearly endorses big-money special interests while leaving the American public behind. No “grassroots” movement can challenge the private slush funds of corporate CEOs but the opinions of the people are the driving force of democracy, so these few private interests will crush any movement they desire from Tea Party to Anti War groups alike. I believe we may very well be standing upon the critical moment in the U.S. where we must decide as a people if we want to have a country of principals and values or a country of slanders and greed. I am reading the Opinion of the Court and it spends much time worried about “chilling free speech” while their ruling will have that ultimate effect. The free speech of a corporation is not threatened it is the voice of against the corporation that is “chilled” by the ruling. 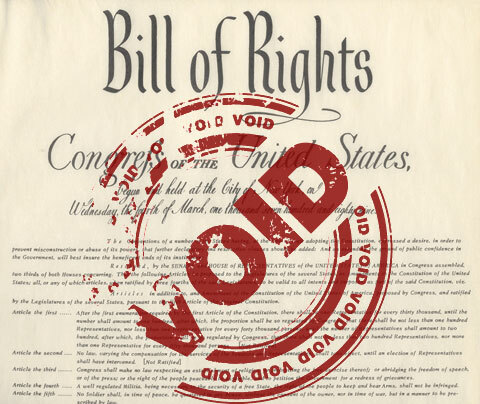 The constitutional right of those who speak out against corporate monopolies are the forms of speech that deserve the highest protections and considerations of the court. Instead the court refuses to “adopt an interpretation that requires case-by-case to determinations on banned political speech” which to me would be the purpose of the highest court and the highest legal minds being put all together to decide just such matters. Michael Moore has posted on YouTube the comments of Keith Olberman on MSNBC’s Countdown in regards to this catastrophic SCOTUS ruling. Once again, I have been proven to have been correct in my assessment of both the motives and character of one of the right-wing’s poster boys: James O’Keefe III. The same man who lied before the American public with the assistance of Fox News and Sean Hannity has been caught trying to once again fabricate vicious lies against others for the sake of political gain. When Flanagan and Basel entered the office, they told the staffer they were there to fix phone problems. At that time, the staffer, referred to only as Witness 1 in the affadavit, observed O’Keefe positioning his cell phone in his hand to record his co-horts. They then told the staffer they needed to perform repair work on the main phone system and asked where the telephone closet was located. Let’s also not forget that these pundits of Fox News such as Glenn Beck, Sean Hannity, and Bill O’Reilly have all used this vile propaganda against ACORN to advance their own careers in hate-broadcasting. This time we caught the con in the act, but this is the “new media” that conservatives and the Tea Party alike support: frame jobs, illegal wiretaps & outright lies. This is Nixon Era politics in 2010. 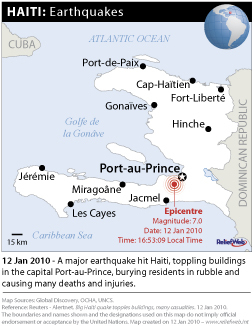 The capital of Haiti has been struck with a magnitude 7.0 earthquake that the Haitian government is estimating has taken the lives of 200,000 people. This tragic loss of life in the wake of horrific devastation has gripped my heart, and the hearts of many others, as the horrible images and stories pour out of Haiti. International humanitarian aid efforts have been working around the clock since the beginning of the disaster and there always remains a need for private donations to help get aid out faster to suffering Haitians. Google has donated $1 million to relief efforts and have a donation page where you easily donate to a charity of your choosing with a Google account. Save The Children and World Vision are both accepting donations that will directly effect the people of Haiti. According to AT&T officials, wireless customers of the company can send $10 donations to the Red Cross International Relief Fund by sending a text message from their mobile device. Standard text messaging rates may apply. The company officials said that a customer has to simply type the word HAITI and send it to 90999. A confirmation message will arrive within a few minutes, to which the customer replies “yes” to finalize the donation. 100 percent of all money donated will be passed on to the Red Cross, the company officials said.